We produce supply and fit best quality and artistic Single Glass Panel doors appropriate for pharmaceutical industries, clean rooms, process industries, hospitals and institutions. these panel doors are made from galvanize iron sheets and completely finished with epoxy powder coat. The doors are made of double layer and polyurethane foam sandwiched in between the layers for thermal wadding. 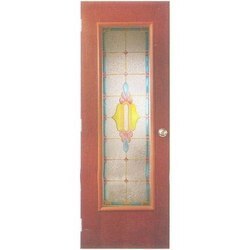 We are the leading in making Single Glass Panel Door in Coimbatore . Looking for Single Glass Panel Door ?